The Outside picks up where The Hallowed Ones leaves off. Katie and her two friends are banished from Amish town and making their through a world of monsters. By now we know that the enemies are vampires, and faith--of all kinds--is the one protection. There are long sections where the folks are moving through desolation without a lot going on, like in Harry Potter and the Deathly Hallows. Katie is on a de facto Rumspringa and wrestling with her commitment to Plainness. She experiments, somewhat reluctantly, with living the English life, but ultimately this book has more of a Christian fiction feel to it than its predecessor. Of course I might be making that up since I've never read Christian fiction! Once again, I found the science/religion confluence confusing. I stared down at my shoes. "She wasn't evil. I know that. But the science doesn't explain everything. There is something of pure evil at work here . . . and also God. I have to respect that. The kids have stumbled on a group that has found a scientific solution to fighting the "evil" vampires, but the group is still based on consecrated group. I guess the message is that the way forward is by employing both. 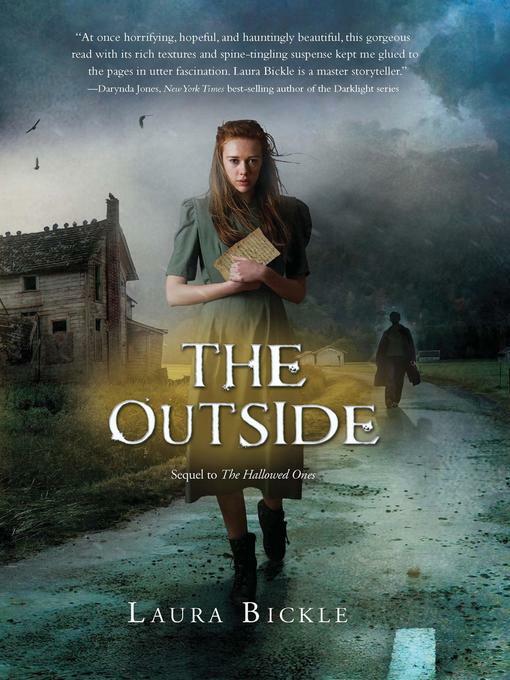 Anyway, you'll want to read The Outside after you finish The Hallowed Ones, but it's not quite as compelling.